The Appsafrica.com Innovation Awards celebrate the enormous growth in mobile, technology and entrepreneurship in Africa. The awards supported by Mobile Monday South Africa, Uber and Appsworld strive to recognise the positive impact technology is having and to encourage future innovation in Africa. The Appsafrica.com Innovation Awards Finalists will attend the awards party with key players from the African mobile ecosystem in Cape Town. The awards party takes place at UMI in Camps Bay at 7pm on Monday the 16th of November 2015. From Cape Town CBD drive for Seapoint and Camps Bay. The Umi venue is located upstairs in the Promenade Building overlooking the beach, stair access from street level. Parking is available directly below Umi in Promenade garage. For map please click here. Uber are supporting the Appsafrica Awards ensuring all guests get to and from the event safely and in style. All new users can sign up here now with the promotional code: AppsAfrica, in order to receive a free first ride up to R150. Confirming one of the sponsorship opportunities for the Appsafrica.com Innovation Awards 2015 will position your brand as a leader in innovation and technology in Africa among leading industry peers and other sponsors and partners from Africa and beyond. There are various sponsorship packages available, please contact us for more details. 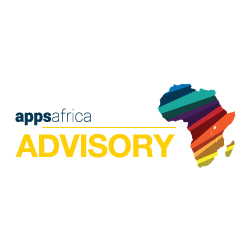 The Appsafrica.com awards celebrate positive impact in 10 categories from ventures who can clearly demonstrate innovation using mobile or technology to meet the needs of any African market(s). Applications have now closed and the finalists can be viewed here.